LED street lights on a street in Shipley. 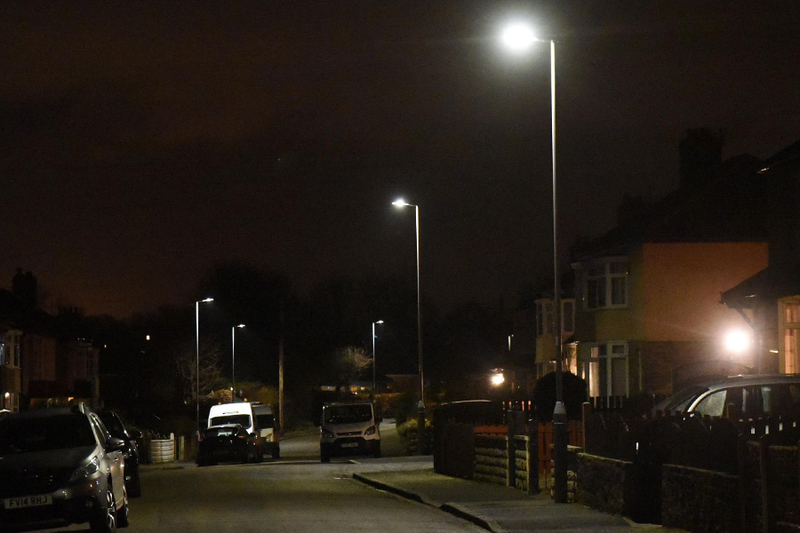 Bradford Council has revealed more details of why it is planning to spend £45 million replacing the district’s 60,000 street lights in a time of austerity. 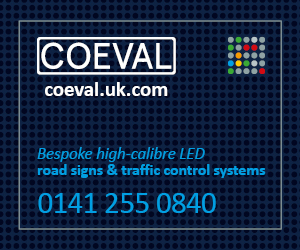 Last year the Council announced that it will be replacing every street light in the district with modern, energy efficient LED lighting over the next five years. The announcement was made on the same day the authority revealed it would be making £13.5 million in savings in 2019-20 and a further £19.9 million in cuts in 2020-21. 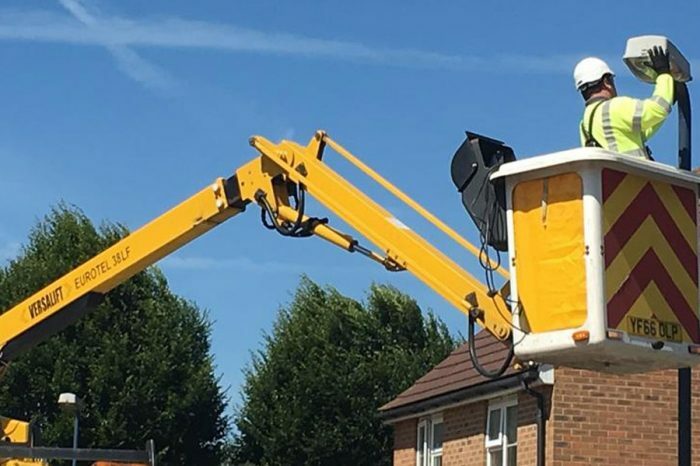 The news that the street light programme would cost £45 million, at a time when cuts were being made to libraries and other public services, raised a few eyebrows. 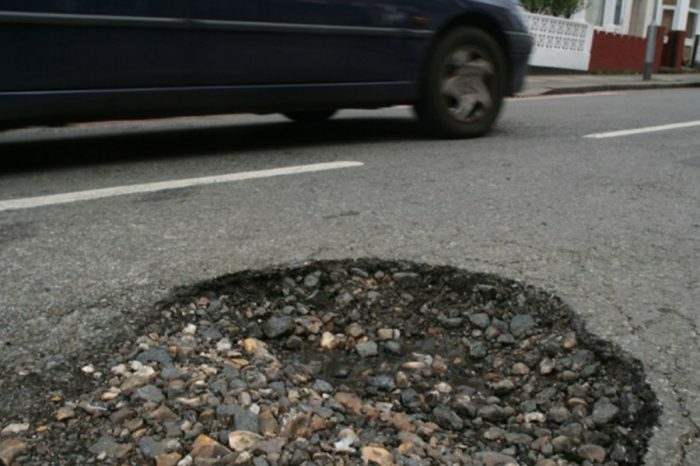 A new report released by the Council sheds more light on the costly project. 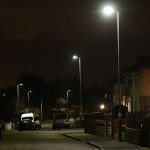 It says the change will reduce the amount of energy used by the district’s streetlights by 65 per cent, saving around £2 million a year. 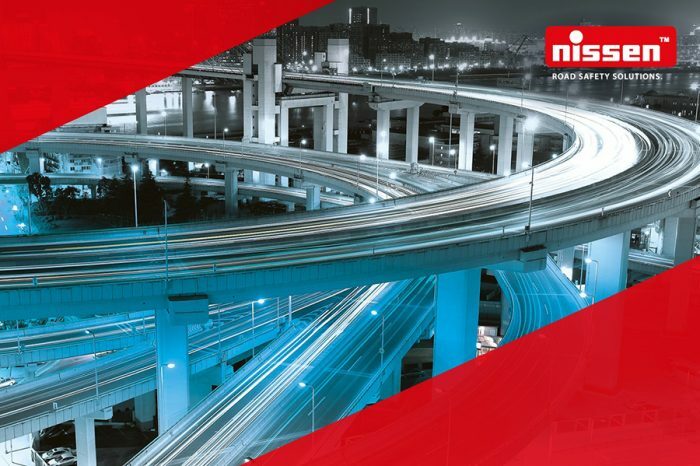 The report also reveals the company that makes the low pressure sodium lamps that are used in 35,000 of the District’s street lights will cease manufacturing them next year. It will go before Bradford Council’s Regeneration and Environment Scrutiny Committee next Tuesday. Members will be told that part of the funding for the project will be provided from Salix Finance – an organisation dedicated to providing interest free loans for energy saving measures to the public sector. They will provide a £13.189m loan. The remaining funding, £32.4m, will be provided from Prudential Borrowing. As well as replacing every street light with LED lighting, 17,000 street light columns will be replaced as part of the project. Members of the committee will be told that the new lighting will effectively be “smart lighting” able to report faults or damage when they occur. It says the lights will also have a much longer life than the existing lanterns, meaning they will require less maintenance. Councillors will also be told that the changes are vital in the face of rising energy costs. The meeting takes place in City Hall at 5.30pm.